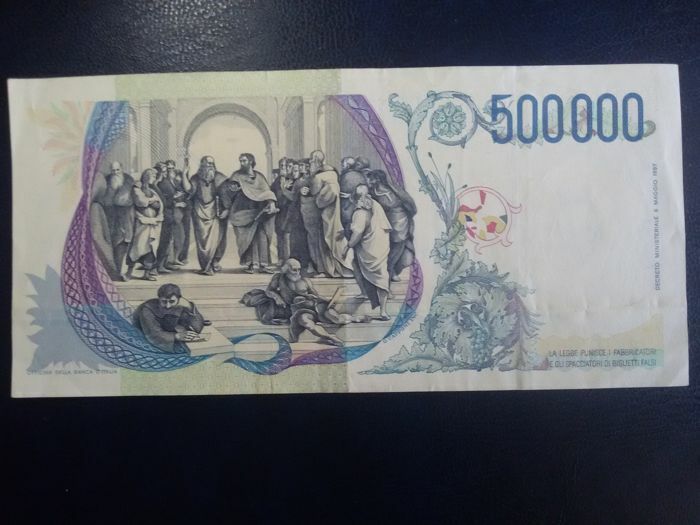 Banknote of 500,000 lire “Raffaello” - ref. cat. Alfa BI.950. 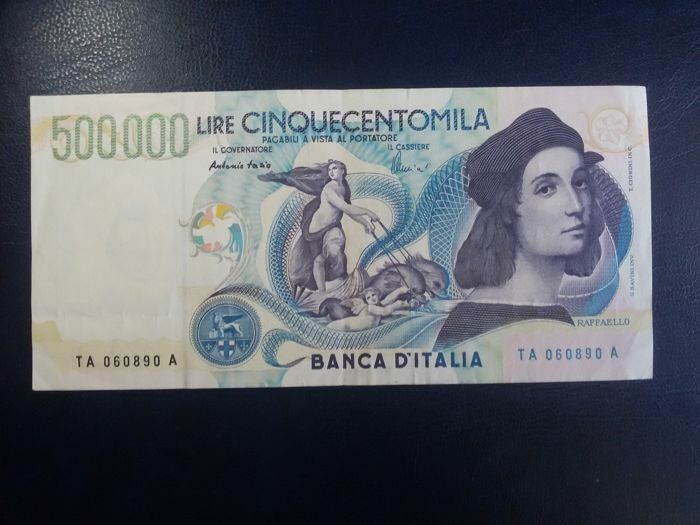 Banknote with the highest nominal value of the Italian Republic. TA 060890 A series - signatures Fazio-Amici. Unique issue date 13 May 1997. 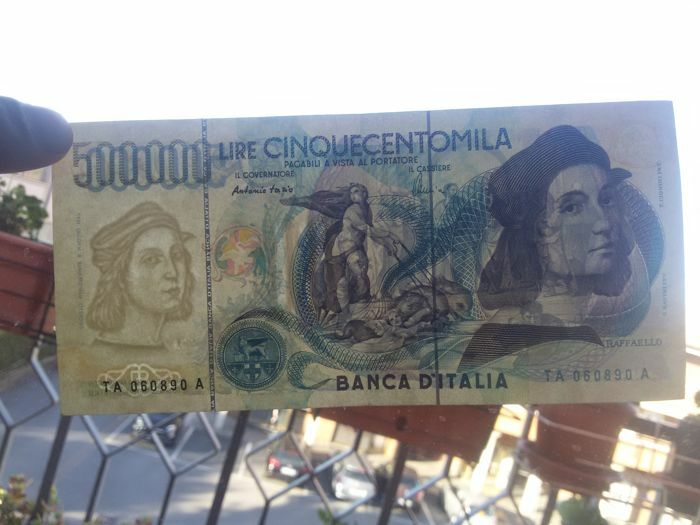 Very well-preserved. A trace of horizontal fold above the serial number on the left and some slight crinkles on the edges, near the centre.